If you would like to present your research at the Postgraduate Symposium on 18 August, it’s time to hustle – you have 3 more days to get your abstract in! It’s up to you whether you’d like to prepare a poster, give an oral presentation, or produce a creative exhibition (film screening, software demo, artistic performance, etc). Whichever you choose, be sure to craft your abstract using this form, and send it to the Graduate Research School at grs@aut.ac.nz by this Friday 30th June. 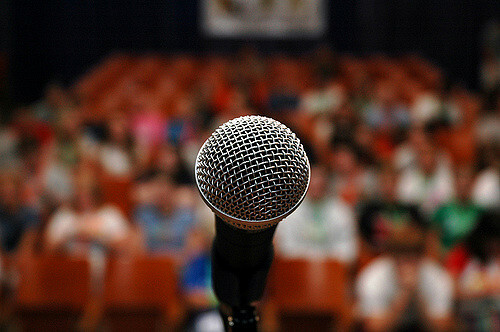 Your abstract can be up to 300 words long, and should include the purpose of your presentation, a description of your research, your methodology, and the significance of your work. You don’t have to have any findings yet – if you’re in the early stages of your research, you can present on your methods and research questions, and explain why your research is important. This is a great opportunity to hone your abstract writing and presentation skills for future conferences, and you’ll be supported with abstract feedback from the GRS review panel. The Symposium is also the perfect occasion to invite friends and family to learn more about your research. So if you’d like to present, get writing! If you have any questions about the Symposium, drop us a line at grs@aut.ac.nz or visit us in WU building, 5th floor reception.